The suspect behind the gay nightclub shooting in Orlando, which left 49 dead and 53 injured, has been identified by US media as Omar Mateen, 29, a US citizen born to Afghan parents. FBI is currently checking whether he was linked to extremists, CBS reported. A correspondent from the WFTV channel said Mateen was 27 years old and was from Port St. Lucie in Florida, nearly 150km from Orlando. CBS news reported, citing law enforcement, that Mateen was 29. Photos, allegedly of Mateen, have been circulating on social media since US media named him as the possible suspect behind the slaughter. The suspect was killed by a SWAT team, police earlier confirmed in a press conference. He was armed with an assault rifle and a handgun, officials said. An FBI official who was also present at the conference said: “At this time we're looking at all angles right now.” He was asked if the shooter might have possible connections with extremists. “We do have suggestions that that individual may have leanings towards that particular ideology [extremism]. But right now we can’t say definitively so we’re still running everything around,” he added. Earlier reports suggested the gunman was wearing a bomb. 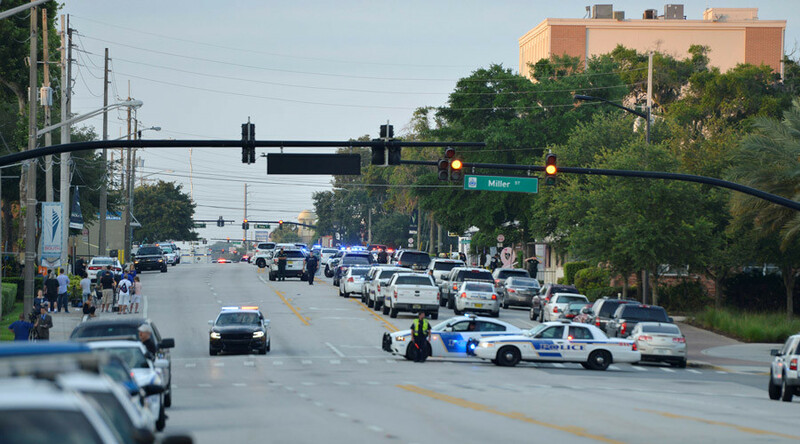 Initially police announced that 50 people were killed, apparently mistakenly counting Mateen as a victim.